Mattel has released a Mr. 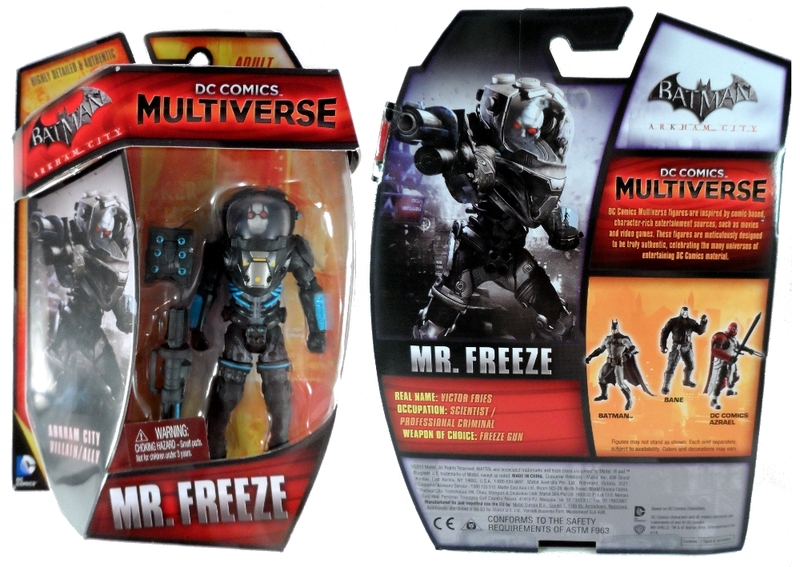 Freeze for their new 1:18th scale toyline, DC Comics Multiverse. Is Mr. Freeze cool? Read on to find out! 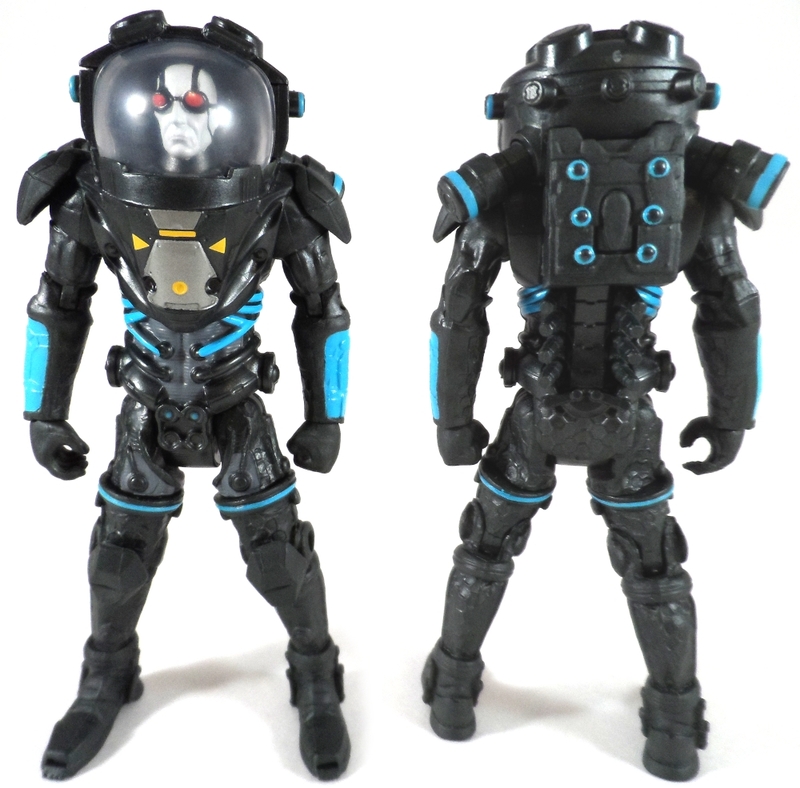 The package is similar to the 6″ Batman Legacy figures with a sloped side showing artwork of the character. The back has the same artwork and a bio for Mr. Freeze along with pictures of some of the other figures in the wave. Mr. 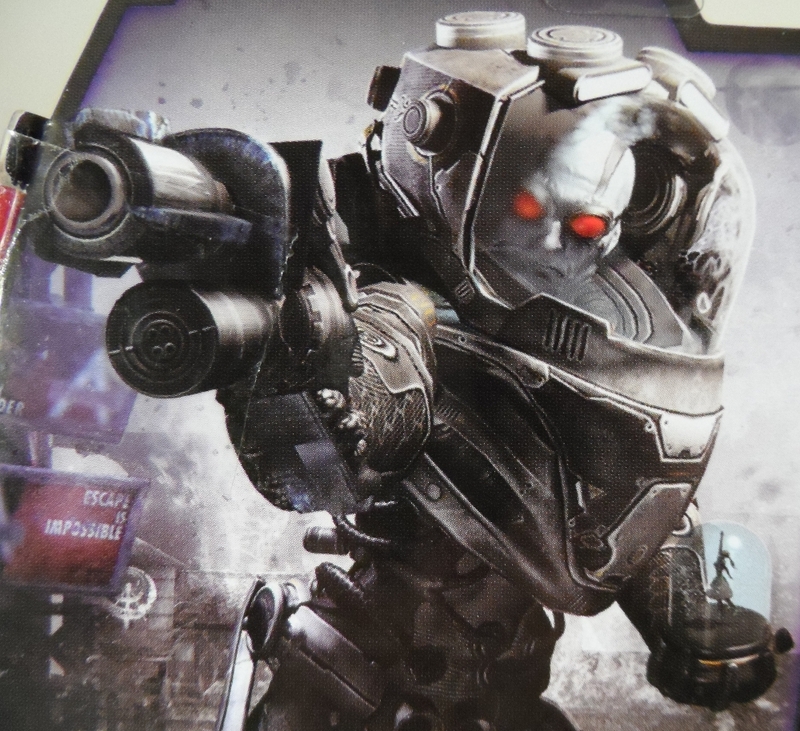 Freeze is based on his appearance from the Batman Arkham City video game. 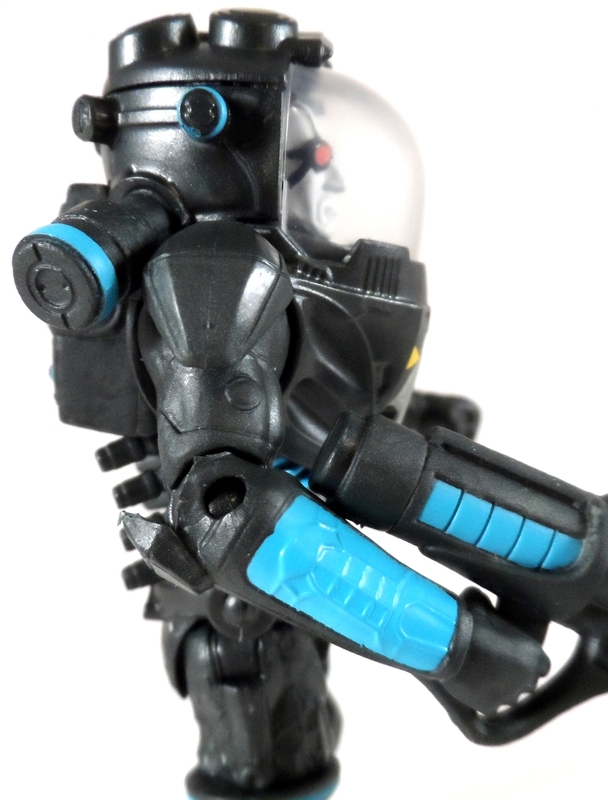 The figure has a highly detailed sculpt, with blue, silver, grey and yellow highlights. The whole figure has only a little paint on it, but the highlights stand out really well against the dark grey body. 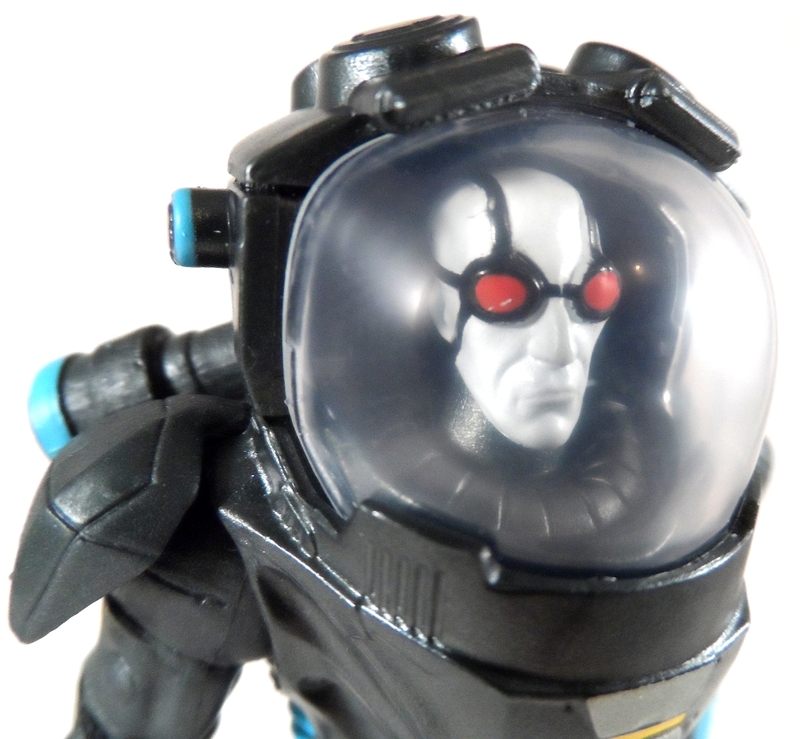 Inside the helmeted dome is Mr. Freeze’s head. The head sculpt is pretty nice with a typical Mr. Freeze deadpan face and painted goggles. Mr. Freeze comes with a backpack, but it appears to be permanent once you attach it. 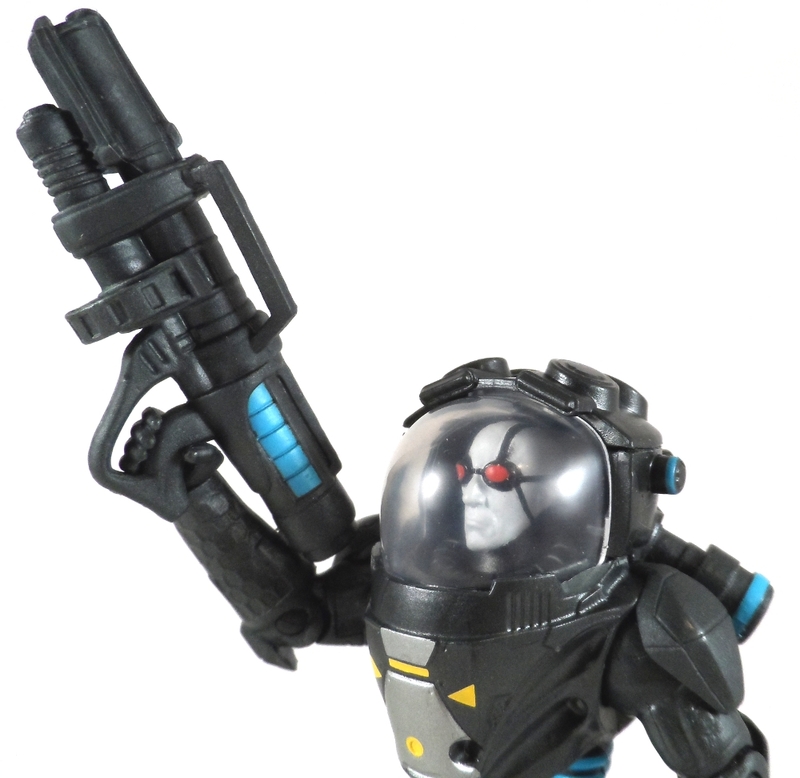 Also included in the pack is Mr. Freeze’s Freeze ray. The gun has a nice look to it with the same blue accents that the figure has. It’s nice that the gun is easy to place in his hand and once there it stays there well. Let’s talk articulation. Mr. 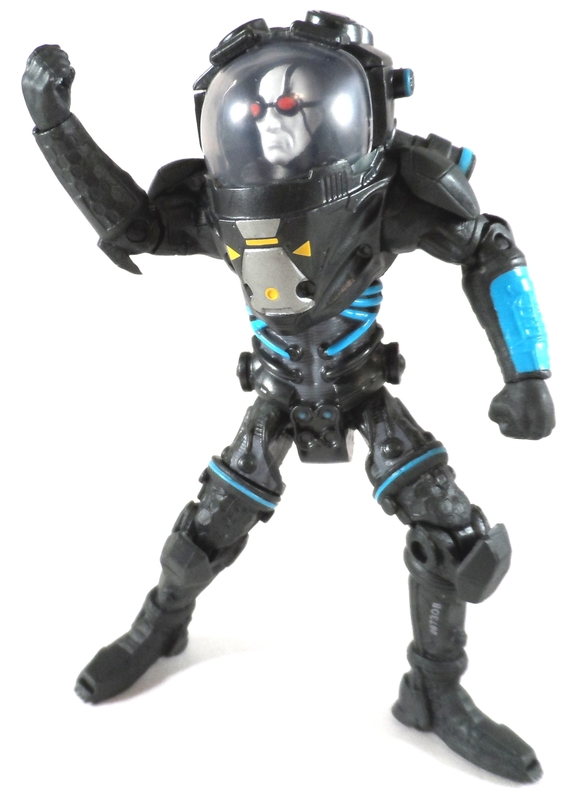 Freeze has more articulation points than the early DC Infinite Heroes toyline had. Both the hips and shoulders can swivel and swing, knees and elbows can bend, wrists can rotate and a big surprise to me, there is a mid torso joint and mid thigh swivel joints. Now with all this articulation, I do wish it wasn’t hindered as much as it is. The above show the most the elbows and hips can bend. The mid torso joint is also very limited, you can rotate the torso only about a quarter of an inch. 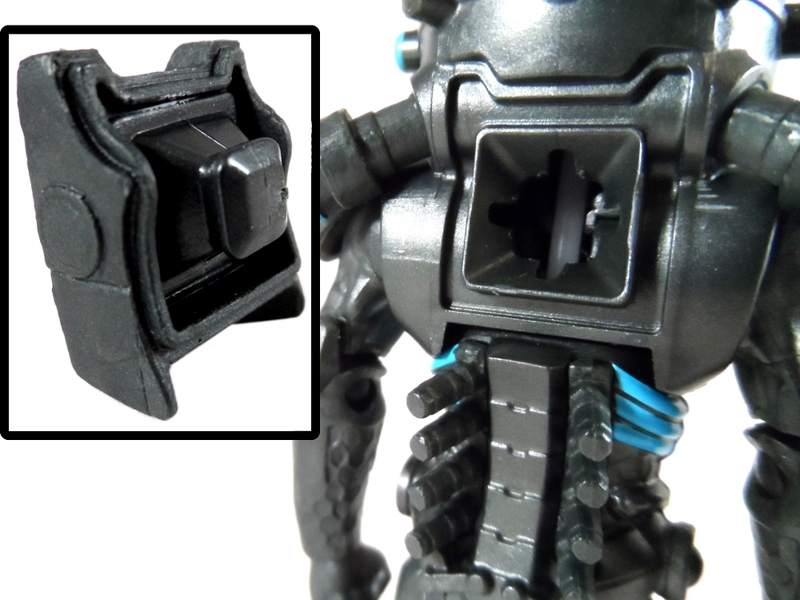 My other complaint about the articulation is that it’s just like the early DC Infinite Heroes figures in that the knees and elbows are large single hinge types. 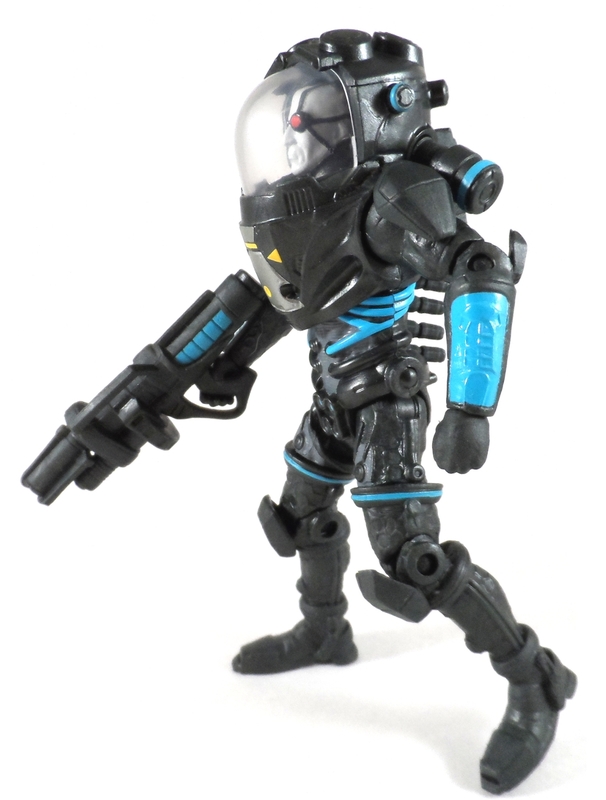 I would have loved to see articulation like the later DC Infinite Heroes figures who used swivel/hinge joints similar to other 3 3/4″ toylines like GI Joe & Indiana Jones. 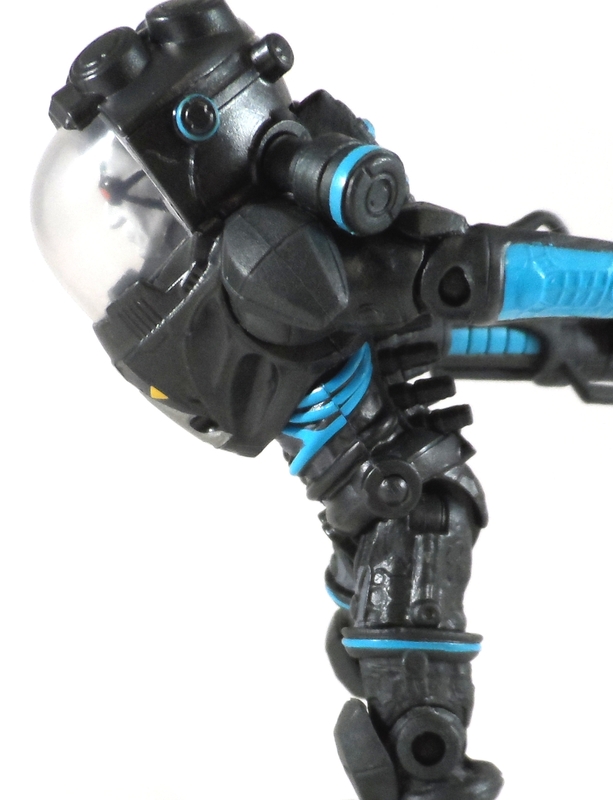 Now there is one bit of articulation that is just annoying…..the neck ball joint. 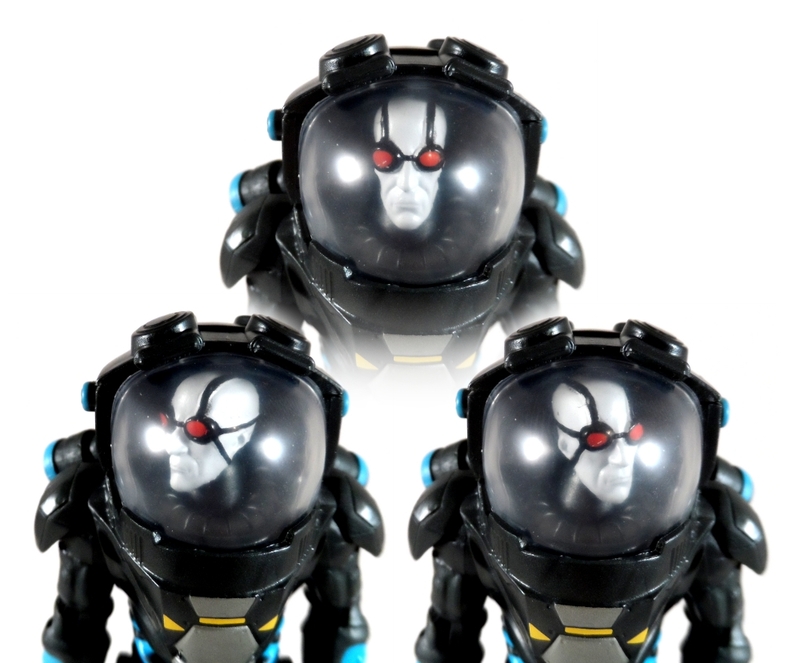 As you can see, the head can turn side to side, which is very cool and can add to the playability of the figure. Unfortunately, in order to move the head around, you have to pry the top of the dome off and hope that there is only a little bit of glue holding it on. 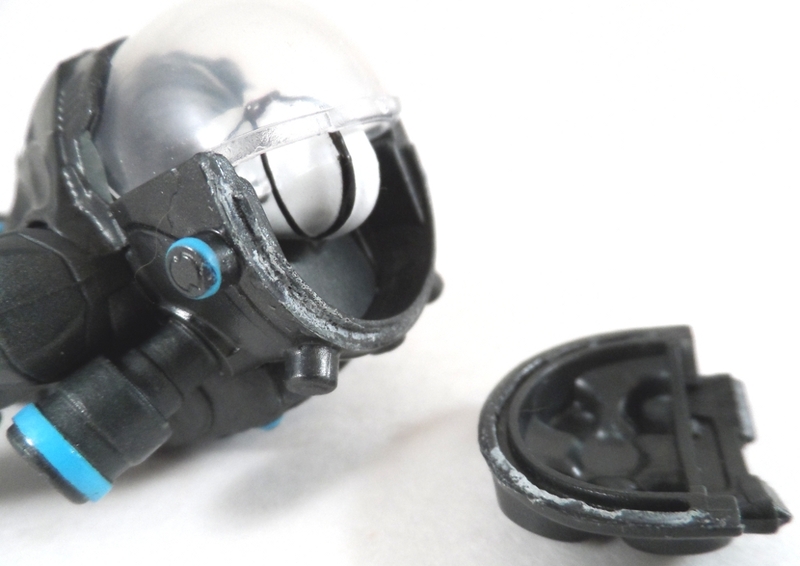 I would have liked to see either a removable helmet/dome or maybe just add some tabs to the lip of the top there and design it to be removable/replaceable so you don’t have to break the toy to make the head move. Mr. 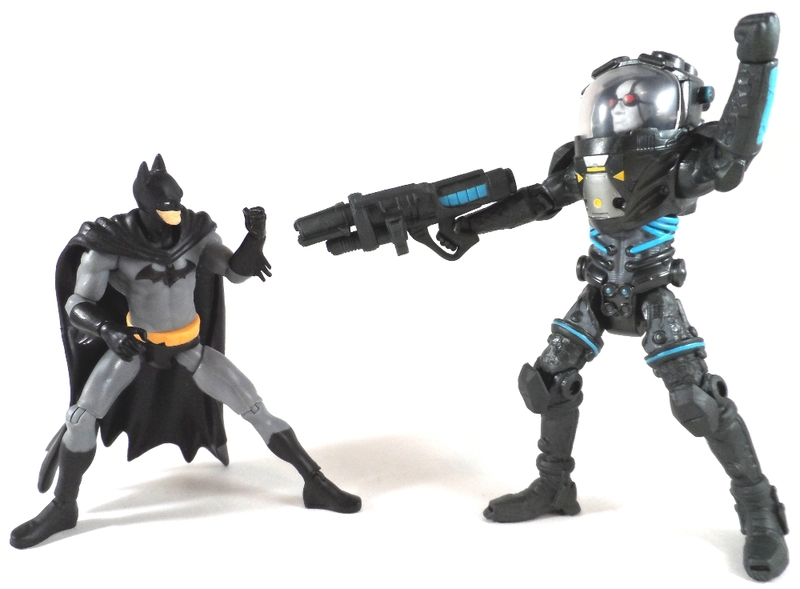 Freeze towers over DC Infinite Heroes Batman, but he is pretty well in scale to modern GI Joe figures. I have to say, while there are some negative aspects to this figure (limited articulation range and styles) The sculpt on Mr. Freeze helps you overlook these aspects. The figure looks cool and is very impressive. A great design with maybe 95% execution. It’s miles away from what DC Infinite Heroes’ first wave was and it’s in the right direction. 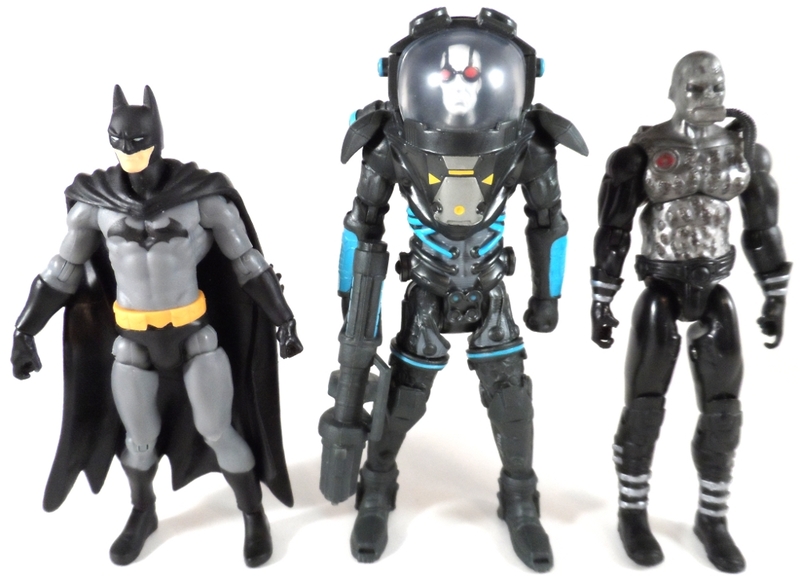 I think with a few tweaks, the DC Comics Multiverse could very well rival the big 3 3/4″ toylines. 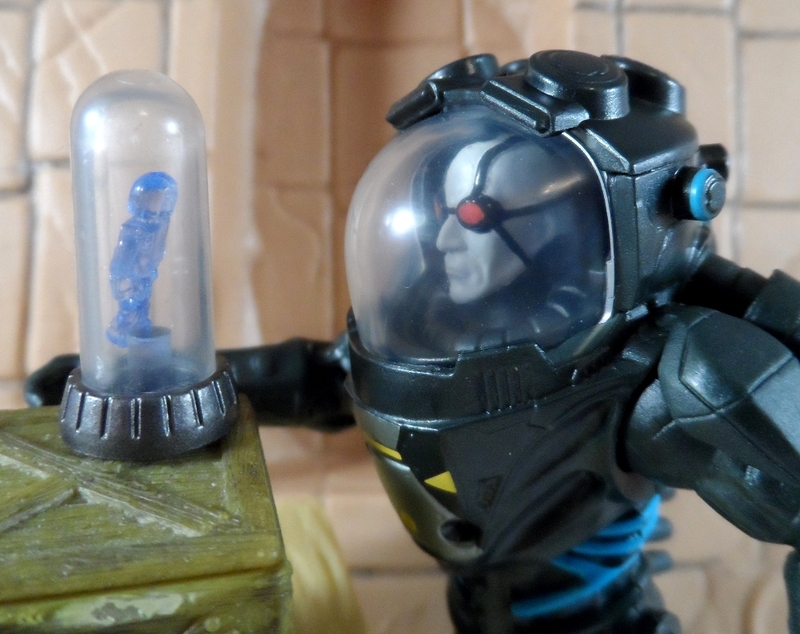 Now, all that praise said, I did feel there was one small thing missing with Mr. Freeze….a ballerina snow globe.